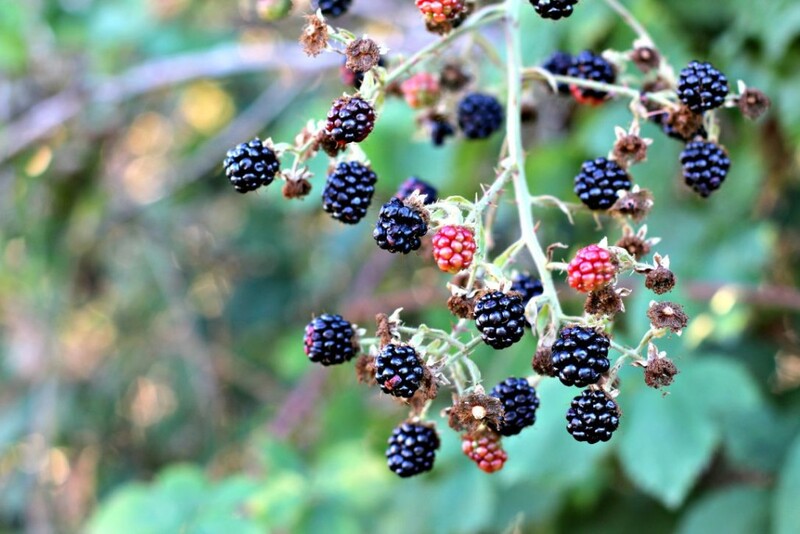 If you’re a native Northwesterner, you know blackberries grow wild and rampant! In fact we have blackberry bushes as huge as trees on our little homestead. 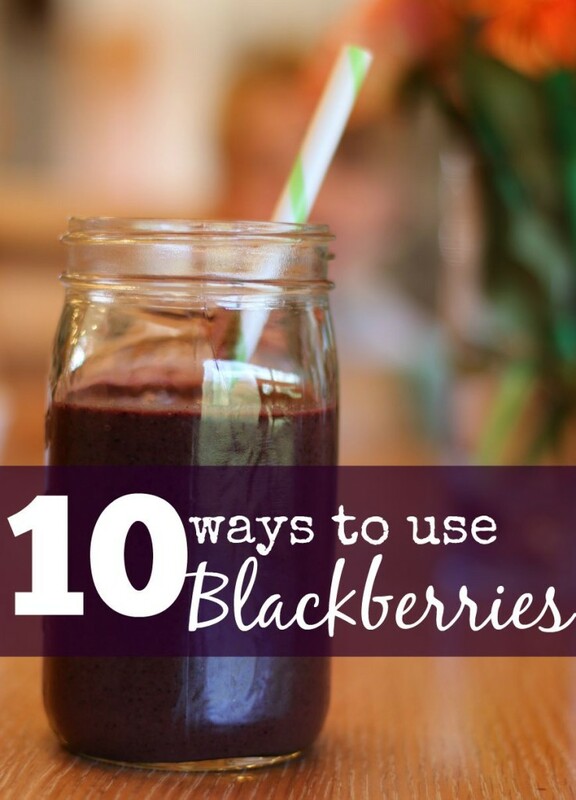 Blackberries are delicious, they are good for us, yada yada yada…you know what else? They are FREE. Grab a bucket and head out a hunting, and feel inspired by these ten genius ways to use these little gifts from mother nature. Honestly, we could just stop right here. 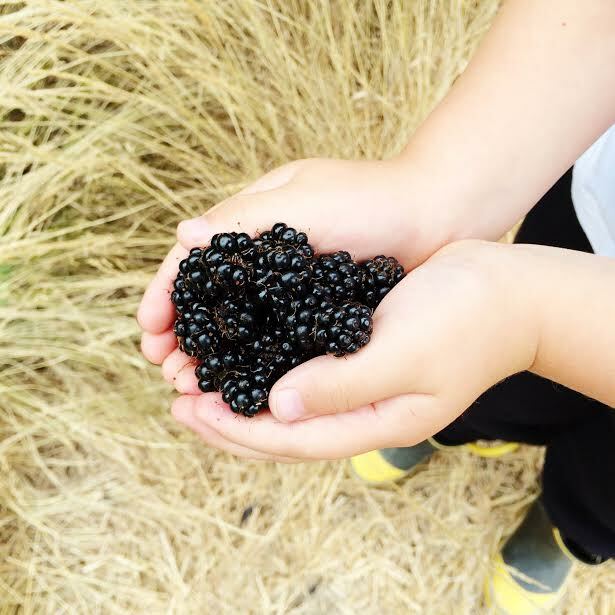 Picking fat, juicy, ripe berries straight from the plant is the best, and should be your go-to way to devour these guys. Sticky fingers, purple stained lips, bellies full. That’s the way it should be. Throw in some bare feet and you’ve got a perfect recipe for summer. “We’re jamming’, I wanna jam it wid you. We’re jammin’, jammin’, And I hope you like jammin’, too.” You should definitely have Marley vibes going while you’re blackberry jammin’. I think raspberries are the popular berry for making jellies and jams, but blackberries have their place, too! I love the rich color the jam makes, and it’s every bit as sweet as its red berry counterparts. 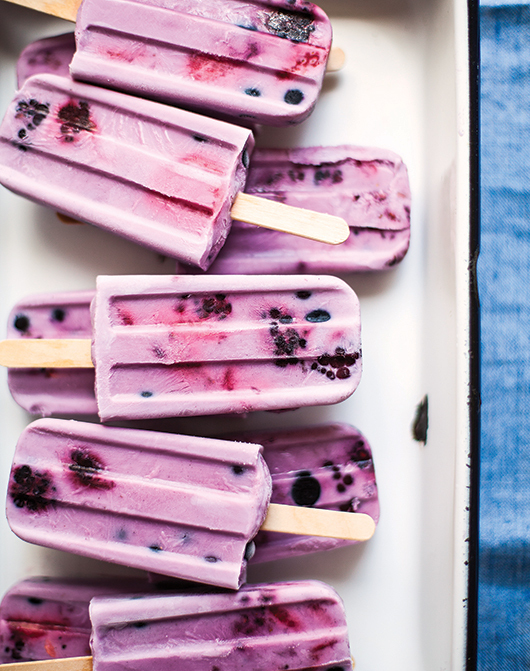 I like this recipe, but I usually do a one-to-one sugar to berry ratio. If you’re like me and you find yourself making ALLTHEJAMS this summer, and your husband’s co-workers and your friends and neighbors are jammed out (you know that look…’oh, thanks, great…more jam.’), look here for some inspiration of how to use it up (glaze on meats, vinaigrettes, oatmeal toppings, scones, homemade pop-tarts, etc). Imagine scooping a warm, gooey, hot out the oven berry crisp onto your plate and dishing it up with a side of cold vanilla ice cream. It screams summer. I highly suggest making my triple-berry crisp recipe (go heavy on the blackberries), but I spotted these blackberry cheesecake brownies on pinterest and think they are definitely worthy of a mention here. In summary, blackberries+baked goods=best friends forever. So when it’s January and we’re all soggy and the weather is gray and the sun goes down at 5 p.m. we can open the freezer and find summer in a bag. And make triple-berry crisp, close our eyes, sit by the fireplace, and dream of warmer days. Or sorbet, whatever tickles your fancy. My dad recently gifted us with his snazzy (and affordable) little ice cream maker, but we mostly use it for fruit sorbet! I like to throw about 3 cups of fresh blackberries into the blender with 1 cup of sugar and some lemon juice, blend it up into a liquid, and then let the ice cream maker do its magic. Voila. These nutrient packed berries are a deeelightful addition to coffee cakes and muffins. And pancakes. And…crepes. See where I’m going with this one? If you live in the Northwest and you haven’t heard of kombucha, I suggest you walk (wearing your socks and sandals of course), out behind that rock and see what all the fuss is about. Last summer I brewed a few batches of this fermented tea and mixed in blueberries, but I think blackberries would also make for a fun flavor sensation in this magical drink. Here’s a blackberry sage recipe to get you started. Throw them in frozen or fresh, a perfect addition to garden greens. Some people don’t care for the crunchy (but nutritious) seeds in blackberries but they don’t bother me any. I use frozen blackberries, spinach, pineapple, almond milk, and a dash of chia seeds for good measure. Did I mention they’re free? Let’s capitalize on our resource, my friends! I’m not suggesting we all go foraging around in the sticky blackberry bushes to gather leaves to dry and steep, although that might be a fun adventure. I am suggesting we invite sugar and mint to the party and brew up some blackberry sweet tea! I don’t even like sweet tea all that much and this sounds so refreshing and simple. 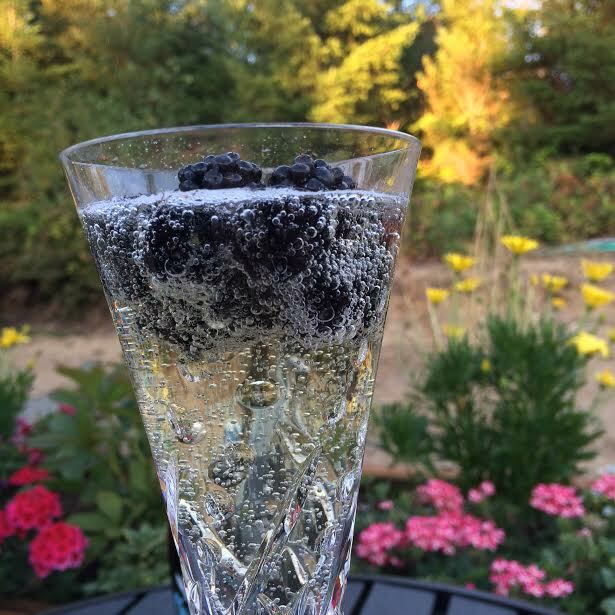 Because, why not throw a few blackberries in that random glass of sparkling wine? Well, that’s all I’ve got on the blackberry front. We are so lucky to live in a place where we can find this native berry growing rampant (although my husband might disagree with me). 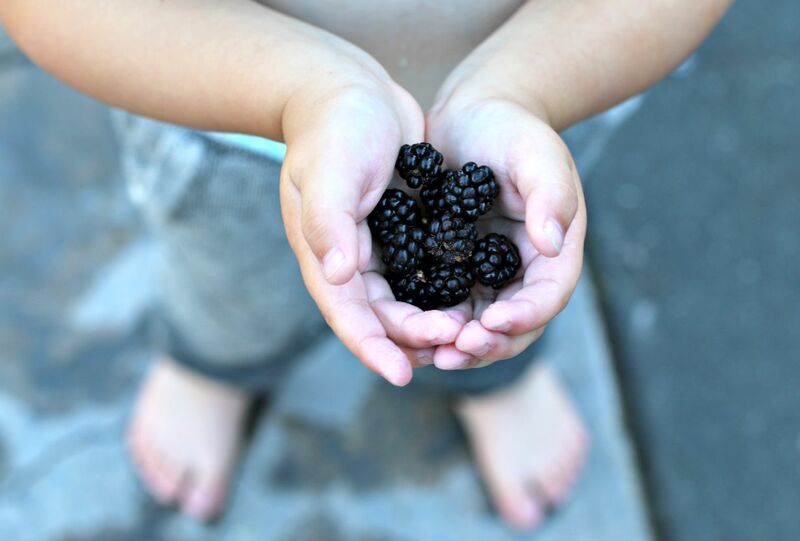 Tell me, what are your favorite ways to enjoy blackberries?